Wordless Creatures was originally composed for guitarist Mak Grgić, who premiered the work for clarinet, trumpet, guitar, percussion, violin, and bass with the USC Thornton Contemporary Music Ensemble, conducted by Donald Crockett in Los Angeles. 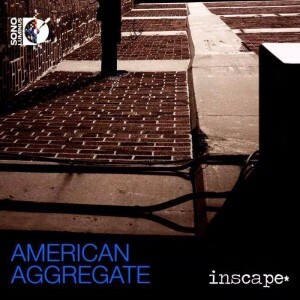 In 2013, Inscape Chamber Orchestra commissioned a major revision of the work to fit the instrumentation heard on American Aggregate. Wordless Creatures imagines a community of small, scurrying characters. They move through a series of scenes, portrayed through shifting soundscapes of color and texture. While there is no set story, different combinations of instruments capture certain dispositions. The clarinet and piano juggle the main motif, an active, jittery gesture that permeates the environment. They dance against a glittering background, an atmospheric sound world colored by the harp, vibraphone, and strings. A third character, that of the trumpet, functions as a mediator, a voice of reason that inserts itself into the texture and tries to stabilize the music’s harmonic language. Musically, Wordless Creatures is an exploration of short, dislocated motifs – a furtive, slightly aggressive gesture juxtaposed with a soft, lyrical, expanding line. These two ideas “argue” and attempt to control, embrace, or synthesize one another. The colors and temperatures shift like a kaleidoscope, highlighting certain instruments for brief moments in time before moving onto the next. Wordless Creatures grapples with the fleeting nature of sound, the ephemeral quality of music, and strives to capture the beauty of disappearance.